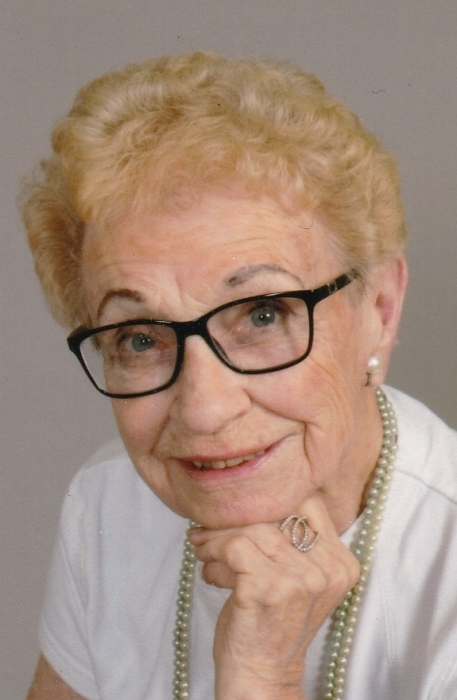 Obituary for Dolores Olson | Esterdahl Mortuary and Crematory, Ltd.
Dolores M. Olson, 85, of East Moline, passed away Friday, February 8, 2019, at her home. Funeral services will be 12:00 p.m. on Saturday, February 16, 2019 at St. John’s Lutheran Church, East Moline. Visitation will be from 10 until service time at the church. Burial will be at Greenview Memorial Gardens, East Moline. Memorials may be made to St. John’s Lutheran Church. Dolores was born on June 14, 1933, in Moravia, NY, the daughter of Orval and Mildred Myelle Shreve. She graduated from United Township High School, class of 1951. She married James W. Olson on September 4, 1954, and he preceded her in death in 2004. Dolores was a choir member and on the Board of Parish Ministries at St. John’s Lutheran Church where she was also involved in bible school and various other committees. She was a Brownie Leader, on the Shabonee Council, and active on the PTA at Hillcrest as President. She was also past president of the East Moline School Council and active with the Illinois Committee on Youth. She enjoyed playing cards and had a green thumb for flower gardening. Survivors include her children, Terry (Julie) Olson, Sherrard, IL, Tim (Kristi) Olson, Normal, IL, Todd (Kathy) Palm Beach Gardens, FL, and Toby Olson, Stuart, FL; grandchildren, Kristy, Tim, Ashley, Danielle, Andrew, Matthew, Steven, Jeffrey, Jack and Melissa; 6 great grandchildren. She was preceded in death by her husband, parents and her sister, Iris McConnell.